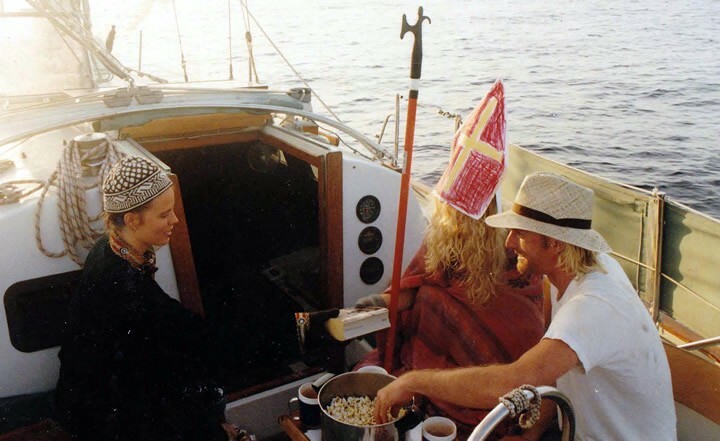 Before I became an online pubisher and writer, I sailed around the world with no experience (in the beginning) hitching on small sailboats around the world by bumming rides as crew. 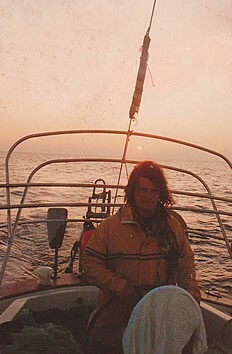 I eventually became a skipper and lived aboard for ten years on my own boat. My oldest daughter, born in 2001, spent her first year in a Caribbean boatyard. It was some 30 years ago now since I first stepped aboard and being on the sea truly satiated my need for travel like no other form of transport and adventure. 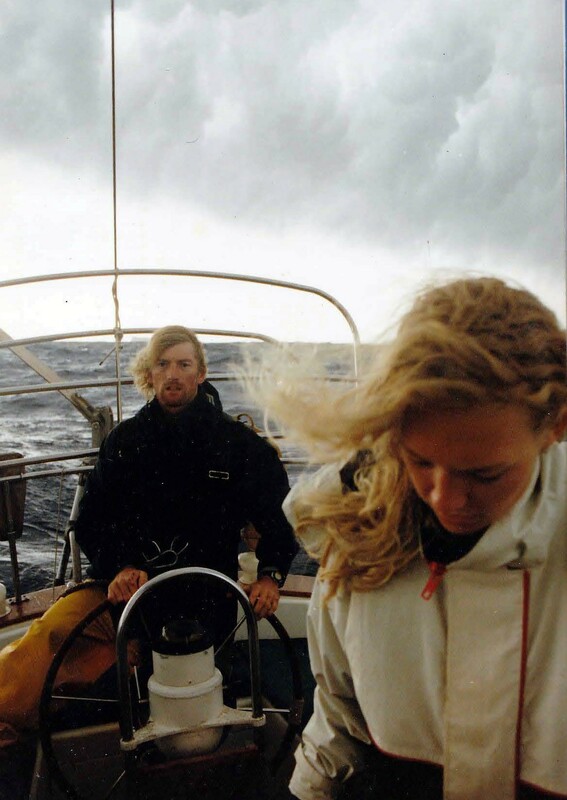 Since I first set foot on a cruising yacht under 40 feet and crossed the Atlantic from the Caribbean to Europe in 1988, a lot has trailed with the wake, but what an adventure it was looking back now and it truly shaped the person I have become today. So how did it all start? How does one sail around the world without owning, renting or buying a boat? And maybe even get paid to do it? How does one take being a boat bum or grottie yottie to the next level? What makes it unique on a psychological level? How do you start? Let’s first segue into a tale about Virgin, because it’s very much part of the story in a funny way. Back in the late nineties I was a yacht delivery skipper working for Sunsail and single-handing boats between Tortola in the BVIs and St Maarten in the Dutch West Indies and on the way back home, I would often sail north of Virgin Gorda to get the right tack to get back to St. Maarten, as the trades were almost on the nose out of the Northeast or East and getting as high up as I could would ease the bashing on the way home. 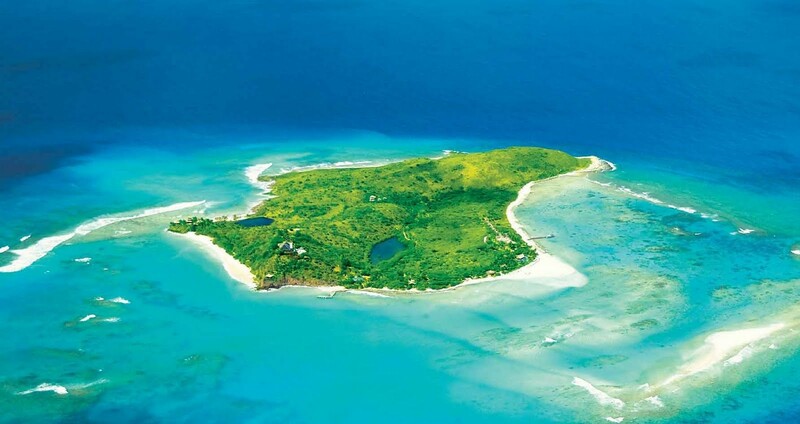 Note that Necker Island is just north of Gorda. And we know who owns the glorious little island Richard Branson. I knew that the season was going to taper down and as summer was on the horizon, aka hurricane season, my delivery schedule would snap down and work was needed. Branson was always a great inspiration of course, so out of the blue one day I got the strange idea that I would pack my resume and a letter in a bottle, sail up as close as I could to his beach at Necker and hurl the bottle hoping he might stroll down the beach and find my witty letter (back then I was in the print media part time more or less) and hire me. I tossed a few bottles over the season that I worked for Sunsail, but alas I have never worked for Virgin. Maybe they never made it — the reef around Necker was a bit dangerous so I never really got close. I’d like to think that Branson replied in the same bottle and chucked it back in the ocean perhaps with a personal invite to skipper his sailboat. Yeah, in my dreams! So where did sea hitchhiking all start? It was in a small, sweltering Caribbean beach bar in 1988 where I found my first ride on an ocean-going sailing yacht, 10 years before Necker bottle-tossing back in the late eighties. Kim-Sha, a Chinese hole nestled on the ivory sands of Simpson Bay in St. Maarten, was a typical yachtie pub fuelled with Heineken and rum punch curling trade winds cooling the open bar, with shorts and bikinis as Fashion de rigueur. It was a simple night like any other darts, laughs, sweaty mugs of draft beer, dark rum and fresh passion fruit punch. 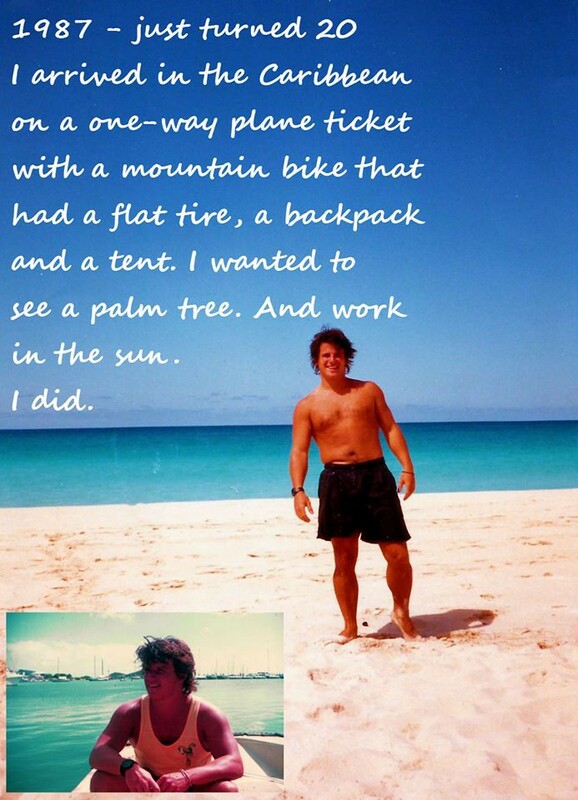 I was a kid who landed on the island with a tent, backpack and mountain bike with a flat tire six months earlier in search of palm trees, girls, and sun. I had come on the advice of Dutch Antilleans co-workers at a Dutch steel mill who endlessly shovelled black dust with me in the rain a half-year earlier and who painted Gauguin-esque images in my head of a life across an ocean on a small island in the Caribbean. But this particular eve at the legendary Kimsha was a tad different, this night there was a new team on board, the Norwegians. 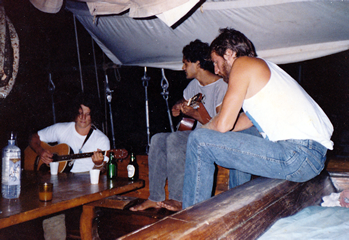 Little did I know, the ruddy cheeked, very drunk, but, very jovial Scandinavians were to instigate an odyssey of sail-venture that would eventually lead me to diverse countries such as Vanuatu, Thailand, Greece, Fiji, Australia, Grenada, Dominica and Cape Verde over the coming decade. Stig, Ola and Anders were delivering a 43-foot Beneteau sailing yacht from St Maarten to Turkey for the Mediterranean charter season and were looking for one more crew member. They asked me. I said yes without even batting an eyelid, or even really thinking about it much. It just seemed a ‘cool’ thing to do. My job waiting tables on the island had wrapped up and my cash was vortexing into a hole, so even though we were to leave the very next day without even a practice run, I was game to go. Grumpy at end of dogwatch in Med in 1994. I had zero sailing experience, nada, zilch, nothing, and here I was about to step onboard for the first time and crossing an ocean. The crew seemed less concerned about my lack of experience and whether I would suffer from sea-sickness than I did. They quickly agreed to accept me aboard on a cost-share basis.They needed hands to hold onto the wheel, not another captain. Simple. I was not alien to the community in St Maarten I met my first world travellers in the yachting community and they captivated me with their sagas of sailing around the world. So it seemed a unique way to challenge myself and to understand the bond these people shared. Little did I realize, I was about to embark on a voyage that would forever shift my path and profoundly change the way I live. The next day, as I was climbing from the dinghy onto Opus II, I slipped off the swim ladder and accidentally plunged into the harbour — backpack and all. Friends who came to see us off erupted with laughter as I officially confirmed my landlubber status. Dripping wet, I struggled aboard the boat and bravely faced the Norwegian contingent before hastily turning and saluting the convulsing hoard on the shore. I imagined that night at the Kim Sha — they’d be toasting me and my name would become synonymous with landlubber yarns, forever imprinted into their portfolio of salty tales. Soon after we left it got rough, I mean really rough, with mountains seemingly heading right at us every ten seconds. At a primal level, the most challenging element of offshore sailing is handling the instinctive fear of a puny little land mammal upon enormous seas in a rather small boat. It’s quite a battle to transform pure terror into exhilaration when 25-foot waves pound a boat. However, once accustomed to surfing down waves, I found it a bit like a never-ending roller coaster ride. It was rather fun actually. It wasn’t only the storms that tested the limits of my fear. I was a stranger in a strange land and had no experience with the open ocean and all its life. I remember a particular incident on a night watch just outside the Caribbean — somewhere too close to the Bermuda Triangle, which kind of had me rattled anyway. The sea was afire with phosphorus algae. As far as I could see, the breaking waves were lit up like swarms of fireflies. It was ethereal. Suddenly, out of the corner of my eye, I spotted a streak of light about 30 ft long in the water. I started to panic. Aliens? Atlantis? Was I now going to be at the mercy of an unknown life form here in the middle of the ocean? I screamed and woke up Stig, the skipper, by banging on the deck and blaring out something about sea serpents or aliens. Poking his head out, he scowled and casually informed me that it was just a school of dolphins stirring up algae. Relief…The symmetry of the dolphin tracks created in the water was stunning. My introduction to the school was the beginning of a long friendship with these intelligent mammals over the following decade and throughout the rest of the voyage, great numbers of dolphins (often 50 or more) came to play with the boat. I always welcomed the friendly sea acrobats when I was on deck and they never failed to bring a giant grin to my face, creating a needed diversion from the lonely watches. Those were the ‘high’ moments. And life at sea tends to swing between extremes. Extreme boredom, extreme excitement, extreme anticipation for dinner, extreme Zen while watching stars, extreme tensions, extreme happiness. Facing solitude on four-hour watches is a psychological trial of enormous proportions. Four hours on, eight hours off, mostly alone, with nothing but the sea and sky. Due to the fact that we had no autopilot or self-steering mechanism at all, it was necessary to guide the ‘Opus II’ across the Atlantic with someone constantly at the helm. Sometimes, being on watch was like having a ball and chain wrapped around my ankle. I could not leave the wheel. On the other hand, time alone on the helm gave me a new perspective on existence. I was forced to think — and more importantly, not think. Blanking out was like cleansing in a way. Occasionally an hour would go by before I would suddenly realize I had not been thinking about anything — I was merely being. It was at one with my environment. Overall, the positive mental metamorphosis was productive. I learned to live with forced meditation. Staring into the swaying compass, I would often find myself zoning out. The limited sounds, colours and scents caused sensory deprivation which I later used sensory deprivation tanks in Canada to recreate the experience ashore. 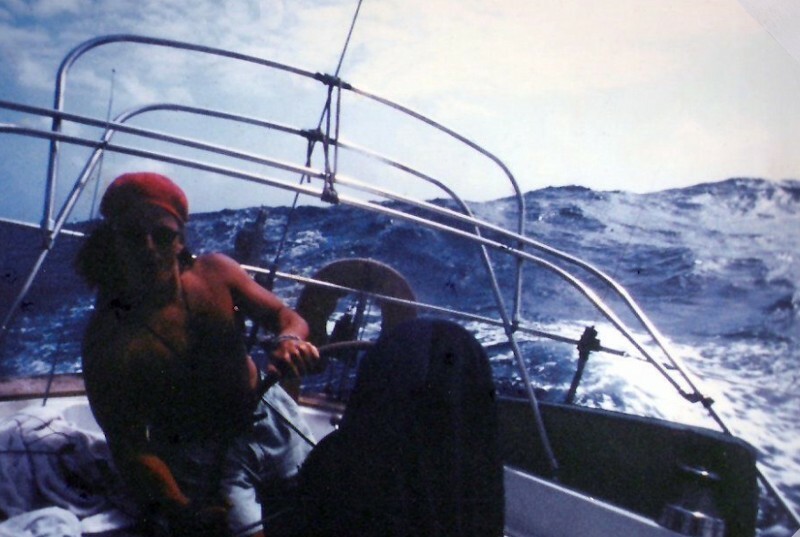 The constant rush of water as the boat cut through the waves, the non-smell of the open ocean, the blue sky and the blue sea… I fully realized the dramatic sharpening of my senses when we sighted land The Azores after three weeks of bashing at sea. I could smell and literally taste the earth that beckoned ahead. The water took on a fresh hue and as we approached closer, the sounds of life were singing in my ears. Sighting the Azores after 21 days induced a total state of euphoria. All the difficult challenges of the trip were suddenly obliterated with our rediscovery of the forgotten world. And on the island of San Miguel, in the Azores, the crews were swapping boats and sailing off to new destinations. It was a truck stop for sea-hitchers. It was then I realized my travel path had suddenly branched off to a whole new area — offshore sail-venture, or hitching the seas. Over the next decade I sailed over 24,000 miles offshore, enough to circumnavigate the planet — mainly on other’s boats but sometimes on my own. Richard Kastelein happily lives in one of the coolest places on the planet — Groningen, Netherlands with his wife and three daughters. Hook up with him on Linkedin.